One of the most impressive things a choir can do is spread themselves to the four corners of a hall and offer forth in antiphonal chorus. 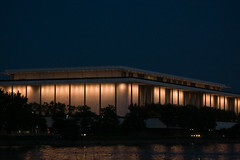 The Washington Choral Arts society is doing just that next weekend at the Kennedy Center, with works by Gabrieli, Tallis, Biebl, Britten, Tavener and Frank Martin’s Mass for Double Choir. This should be an awesome awesome concert, and tickets are 20% off for We Love DC readers with code FRIEND at checkout. This is one not to miss. See you there. Agreed – I’m a member of Choral Arts and if I may say so, it’s a pretty cool concert. Thanks for the shout-out.